Citroën is allowing social media users to shape an upcoming TV ad promoting its new C3 model, inviting them via Facebook Live to choose which scenes appear in the finished film. Users will be able to take part live on 7 September and 14 September on the car brand’s Facebook page, selecting eight scenes across the two dates that they think best illustrate the car’s uses and features. Vignettes to choose from include a surfer loading his board into a C3, a family-focused scene featuring a father and his children and a stuntman entering the car via the sunroof. The social-driven campaign, which epitomises Citroën’s ongoing "Inspired by you" slogan, is rolling out across five launch countries — the UK, France, Germany, Italy and Spain. 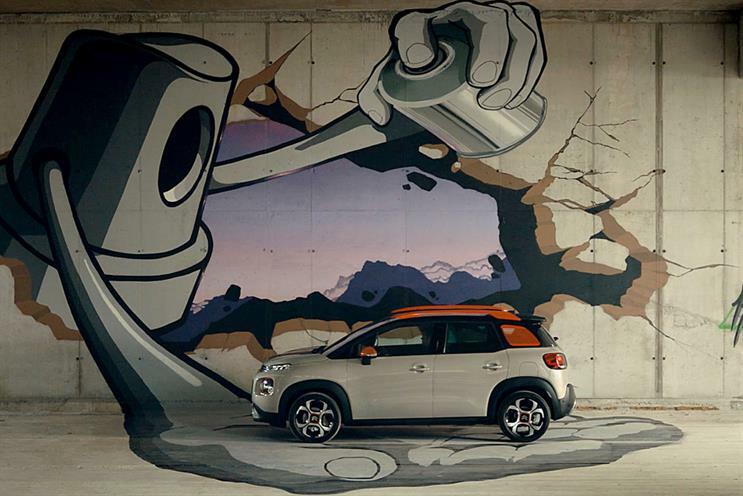 It was created by Citroën’s former ad agency, Les Gaulois. For each vote, social users can choose their favourite storyline from two options. The 7 September vote will cover the first part of the film, with users allowed to select four choices from a total of eight scenes. The second part of the vote on 14 September will offer a further four choices from eight options. In the UK, the Facebook Live session will run from 4pm to 8pm. Voting will take a few minutes, after which users will be invited to watch four videos about the new C3 Aircross. From a pool of 16 scenes, the eight that win the votes will be edited into a final ad execution for each country. All participants will be invited to watch a premiere of the film on Citroën’s Facebook page ahead of the TV broadcast. Citroën is no stranger to using innovative means to advertise its cars. Last month, the manufacturer enlisted a cabinet maker to construct a wooden model of its famous 2CV model. The campaign was the first created by BETC Paris’s Traction. Traction was created as a bespoke unit to service the business when BETC won the global ad account in July. The account was previously handled by fellow Havas agency Les Gaulois. Peugeot-Citroën owner PSA Group awarded its €875m (£801m) media account to MediaCom in June this year.